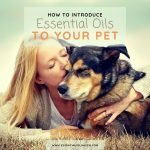 Myrrh essential oil is maybe not the most widely used essential oil (yet? ), but it is definitely one with a vast history! It has been known to be an essential ingredient in religious rituals, and it is also being used in medication, aromatherapy and cosmetics. As a short summary, Myrrh is used to aid blood circulation and digestion, for elimination of bacteria and fungi and even nasal congestion, and for dental care. Spiritually, it is used for meditation, prayer, and ceremonies. It is said to bring with it the timeless healing of mother nature by bearing heavenly ancient secret essences. 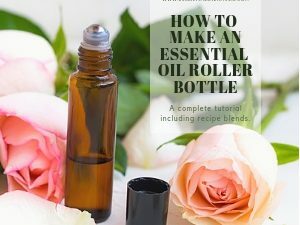 Oftentimes, you’ll also find Myrrh and Frankincense essential oils combined in blends or roll-ons as the two go very well together! Myrrh has been used for a long time. It has been noted in the bible and is lined as valuable as gold and frankincense. It has been used by royalties and higher officials. It has been known even before time to earn its valuable place. It has been used for anointing, sun worshiping and embalming rituals. Myrrh is THE sanctified incense used in Jerusalem. Multiple times, Myrrh has been mentioned in the Bible as it was one of the gifts given by the tree wise men who visited Jesus. The other gifts included Gold, which symbolizes kingship, and Frankincense, which symbolizes worship. Myrrh symbolized purification, mourn and death. That said, Myrrh was also an essential ingredient of holy anointing oils used in anointing of high priests and kings. Offering of this holy oil was an important part of the service in the temple because of the important roles and purpose that it partakes in sacred rituals. 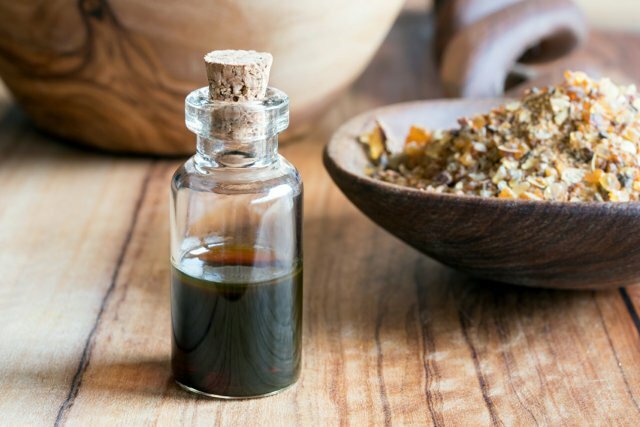 Even long before, Myrrh oil has served essential purposes. In 1st BC, Diodorus Siculus recorded that myrrh was traded from indigenous Ethiopia until it reached the Mediterranean region. Middle Eastern Cultures as well as Egypt used oil scented with myrrh in worshipping rituals. Greek soldiers used this oil in combat to clean, disinfect and stop wounds from bleeding. 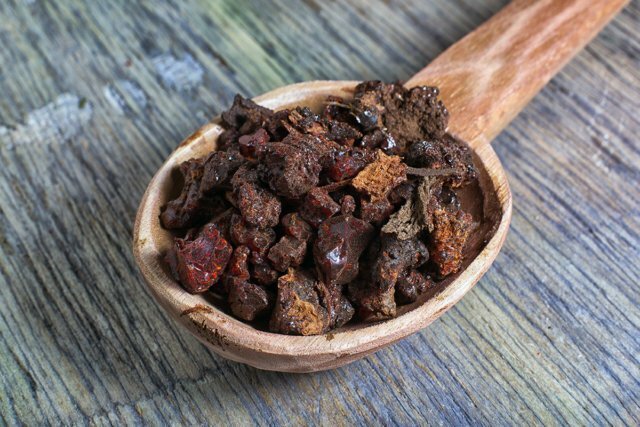 It has never been a secret that myrrh oil has served a lot of uses. 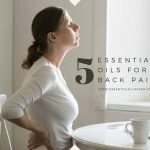 Even the Chinese used this essential oil as a medicine way back to Tang dynasty. Up until now, myrrh is widely used by people around the world. Myrrh essential oil is extracted from dried resins by steam distillation. The “resin” is an organic substance that flows out of a knotted, small, thorny tree, Commiphora myrrha, which is usually found in Middle Eastern and African countries. To gather resin, a tree is cut. Cutting the tree allows it to bleed a sticky flammable substance. This gum-like substance is allowed to dry up and produce and tear-like saps to a size of a walnut in the trunks of the tree. Then it is collected and used to extract myrrh oil. The word myrrh comes from the Arabic word “murr” which means “bitter.” Myrrh oil is dark amber / yellow-ish in color and sometimes turns yellowish green. It has a distinct rich, smoky, balsamic and sweet but sometimes bitter smell. Myrrh oil is believed to be a cure for hay fever and Egyptians use it to cure herpes. Myrrh oil has anti-bacterial and anti-fungal properties. It can fight skin irritations like acne, eczema, athlete’s foot and others alike. What to do: Apply the essential oil topically to affected area, diluted in a few drops in carrier oil before applying to skin irritations. Eliminate dental infection. Because of its anti-bacterial property, myrrh oil can be used as mouth wash. It kills bacteria and prevents them from coming back. What to do: mix a few drops of myrrh oil to one half glass of water and gargle the mixture to cleanse mouth and throat. Make sure to spit it out again afterwards! It can also relieve sore throat caused by viral infection. Myrrh oil is also an effective aid to nasal congestion. It clears nasal passage and soothes breathing. 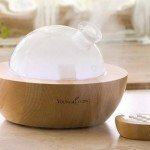 What to do: Diffuse one to two drops of the essential oil in hot water and inhale vapor. Allow the scent to clear nose and throat. It can relieve inflammation. 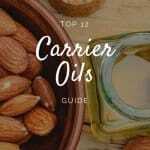 What to do: Apply with a bit of carrier oil onto your skin, then cold compress the affected area. It can heal wounds. 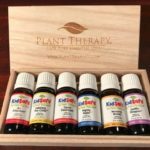 What to do: It can be applied ‘directly’ to the wound to stop the bleeding: Dab a cotton ball or pad in the essential oil and apply to your wound. This serves as a disinfectant. It promotes stomach health. 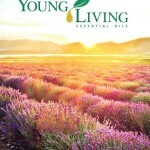 What to do: Dilute one drop of myrrh oil 4 oz water and take internally. It soothes stomach troubles and allows you to relieve extra gasses. It boosts energy and restores positivity. 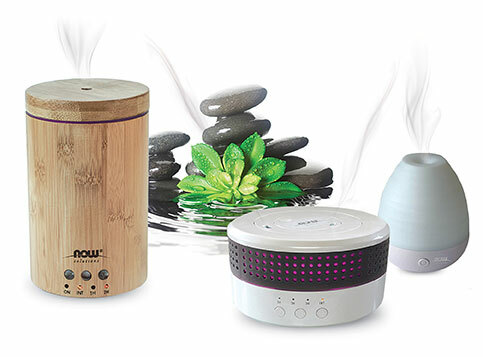 What to do: A few drops in the diffuser can enhance the atmosphere and activate and calm energy. The aromatic smell of myrrh oil can relieve stress, nausea and anxiety. What to do: Drop one to two drops in the handkerchief. 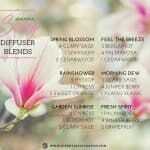 Inhale scent. Find a Myrrh roll-on (like this one HERE) that is pre-diluted with a carrier oil and apply a little bit onto your temples and forehead. 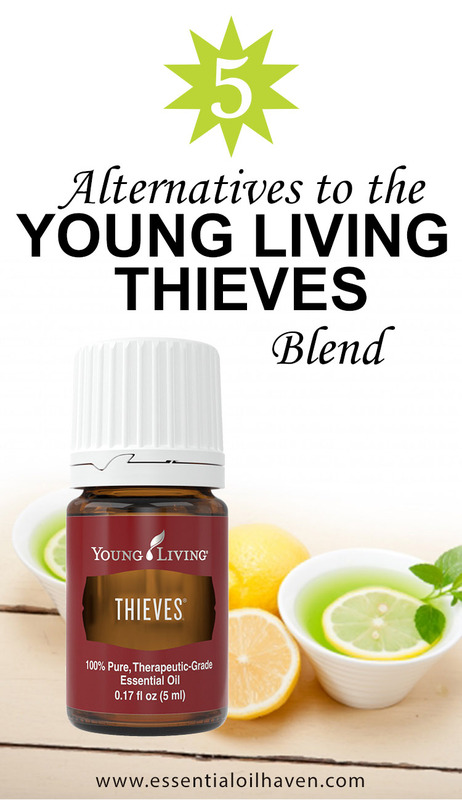 Or diffuse a few drops of myrrh oil in a regular diffuser. Myrrh oil can stimulate cell tissues and promotes proper blood circulation. 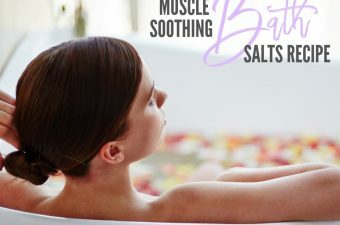 It relieves muscle tension and stress. What to do: Myrrh oil is a good addition in massage oils. 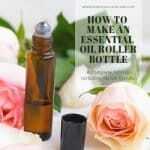 It can be diluted with some carrier oil, and used on the skin. 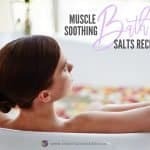 Apply ample amount to target areas and massage muscles in a circular motion to promote the release of tension. Myrrh oil can be used as a facial cleanser. What to do: Just add one to two drops of essential oil to your cleanser. It promotes healthier and younger complexion as it cleans and tightens pores. It also has antibacterial properties. It can help fight acne, eczema and other skin irritations. 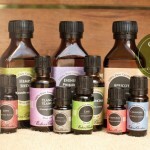 What to do: Include a few drops of the essential oil in the daily facial routine. Mix a few drops to cleanser and wash face as usual. Myrrh can minimize acne scars and dark marks. What to do: Use myrrh oil and cleanser mixture daily. It can minimize wrinkles, marks and scars. Applying the essential oil directly can help speed up scar removal. Perfume. Myrrh oil is used as scent enhancers. What to do: Mix a few drops with your cologne. In a spray bottle, mix two to three drops of myrrh oil and a cup of water and use it as it is. Food flavoring. Myrrh oil is used to enhance flavors of dishes. Although it is not the most famous use, few cultures use myrrh oil in their recipes to bring out the balsamic and sweet flavors of their dishes. Myrrh oil has reported side effects like allergies. 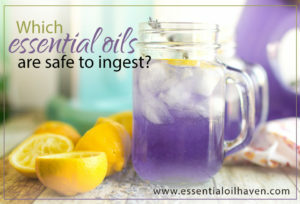 Extra sensitive skin might not react as expected upon application of essential oil. Better test the oil in other parts of the body like inside of the elbow to see if certain reactions might occur. Cardiovascular irregularities might also occur like worsened system inflammation, uterine bleeding, low blood pressure, low blood sugar. Ask for professional help first. Myrrh oil might also cause upset stomach, worsen ulcer and diarrhea. Take extra precautions, especially if you have a history of having sensitive stomach. It can also react to certain medications and anticoagulants. Take extra precautions for drug interaction might worsen ones condition. Pregnant and nursing women are discouraged to use myrrh oil. It is always best to consult a trusted health expert or physician first before using Myrrh essential oil. 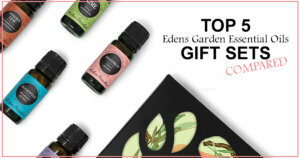 Browse your favorite essential oil brands website for a Myrrh Essential Oil. 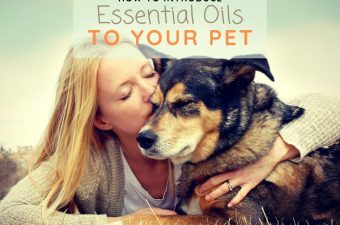 You should find it in its original form as a single oil, plus sometimes a roll-on that will often be blended together with Frankincense. I’ve also seen it as part of skin care lotions or facial toners like this one HERE from Purple Prairie. 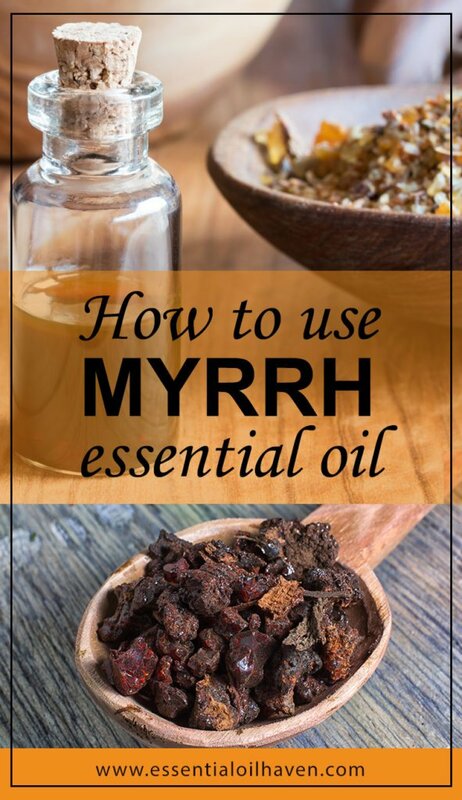 Thanks for sharing with us the many things that myrrh oil can do like a few drops only can enhance the atmosphere and helps the person calm down. 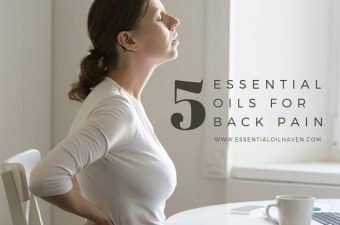 If that is one of what it can do, I will definitely advise my sister who seems to be tensed lately and already well in years to try a few drops only to make her feel at ease aside from the fact that it relieves muscle tension and stress. I will simply buy one for her to make her use that at once.